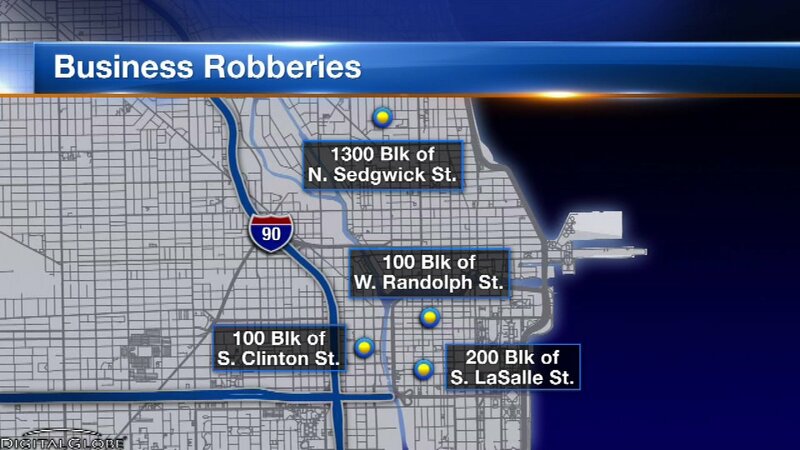 Chicago police have issued an alert after several armed robberies at cellphone stores in and round downtown. The robbers entered the stores, grabbed display phones and threatened to stab store workers if they tried to intervene. On one of the incidents, a robber pulled out a knife. Police said they are looking for three male suspects who are all described as between 11 and 16.